Let’s talk about your engagement photos! These images are taken during one of the most sacred times of your life. That brief phase between being single and married that often flies by with stressful planning and long to-do lists. What better time to take a moment to stop and celebrate your love by scheduling an Akron engagement photography session with me?! 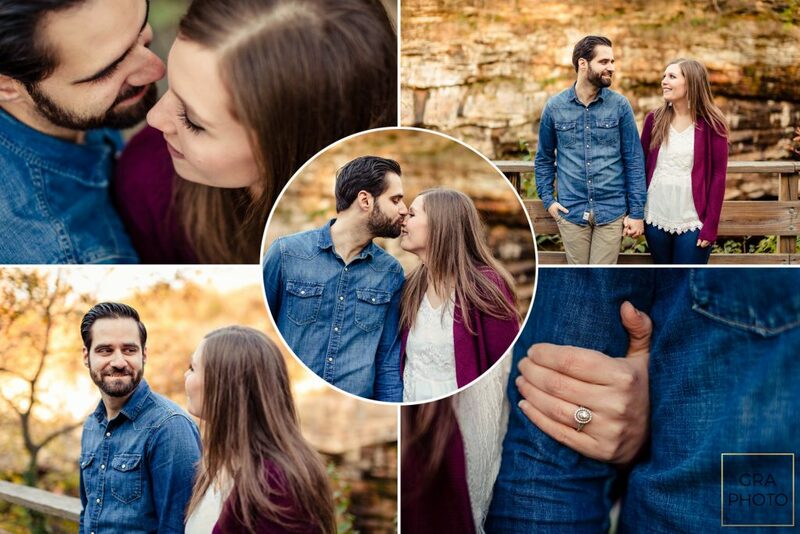 Not only will it give you a break from the stressors associated with wedding planning, but you’ll also get to enjoy the gorgeous images that come from the session. These photos will become keepsakes that I know you and your family will cherish forever. 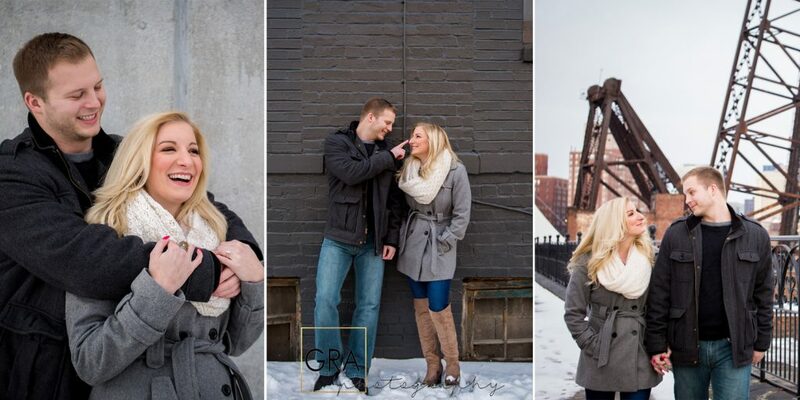 Here are four tips to help make your Akron engagement photography session everything you’ve always dreamed of! Tip #1 – Choose a location that matters. The location of your Akron engagement photography session can mean so much more than just a beautiful backdrop. I recommend that my couples choose a place that is special to them or represents a meaningful moment in their lives. Do you have a favorite park where you love to watch the sunset together or a downtown area where you always stop and snag a cup of coffee? Where did you go on your first date? Is there somewhere that just makes you feel like you’re ‘home’? Wherever you love, tell me all about it. If you don’t have a favorite place, no worries. I’d be happy to share some of my favorite places with you, in fact – watch for a new blog post all about this one soon. In fact, check out this session with Antonette and Drew. They chose a local park they really enjoy visiting in the summer together. It allowed these two to relax and focus on each other since they already knew the scenery would be perfect. Tip #2 – Skip the matching clothes. Yes, this was a huge trend a few years ago but the days of matching white t-shirts and bright blue jeans are long gone. The best wardrobes are those that compliment each other, not match. If you need ideas on what to wear or just want to run your Akron engagement photography session wardrobe by me for another opinion, feel free to send me an email! I’d be happy to take a quick look and tell you my thoughts. In fact, helping you style your engagement session wardrobe is one of my favorite things to do! If you each find a favorite outfit but they still need a little work, try adding accessories. Think jewelry, a scarf, maybe a light jacket… whatever will make your outfits feel as though they are cohesive in your images. Annie and Johnny are a prime example of a well-dressed couple. They had three different looks and they all were cohesive, and didn’t clash! Also, check out Annie’s shoes with her pink dress. Holy Cow! Tip #3 – Feel free to bring A prop. Yes, the letter ‘A’ was capitalized for a reason. If you do a quick search on Pinterest about engagement photos, you’ll find HUNDREDS of amazing ideas. I’m sorry to break the news to you, but there’s no way any photographer could do all of them in one session. Pick your favorite one (or two) and commit. That way we can take our time making sure we get it ‘just right’ instead of simply rushing through a to-do list for the session. I like our sessions to focus on the love you two share, and not the items you have brought with you. My favorite props are those that have your wedding date on them. They make gorgeous save-the-date cards and will serve as excellent reminders for the future, just in case you or your spouse needs a little reminding. 😉 Or even better, sessions where the location is isn’t own prop, like this engagement session with Noah and Sarah. Can we say wowza? Isn’t the Cleveland Arcade beautiful? Tip #4 – Be real. I totally get that being in front of the camera can be awkward at first, but I encourage you to be as authentic as possible. If you love snuggling, little kisses, or just holding each others hand – go for it. These images are meant to capture the real you in this season of your love. I want your personality to shine through and that’s only possible if you’re willing to let go and be real. So forget about the selfie stance, let me find your best angle in the most beautiful light, and enjoy this time with your fiance. Jen and Jameson were perfect at this. They spent the entire time laughing and cuddling each other. In fact, before I could say, “Hey, Jameson, put your arms around Jen.” They were already there.